Social media star and comedian Junaid Akram is the latest to be swept under the expanding #MeToo wave which has taken Pakistan and India by storm as two female fans have stepped forward and accused him of sexually harassing them, claims he has categorically denied. According to reports, in one instance, a fan contacted Akram after which they started chatting. She added she didn’t know what to say to him, so blocked him instead. Another girl accused Akram of lying about his marital status. Taking to social media, Akram denied all such claims of sexual harassment, maintaining that he has not harassed anyone and all such claims are false, adding that he is consulting his legal team on the matter. “I have already met my legal team, and the wheels have already been set in motion to bring to book those who are trying to hurt me and people associated with me,” he wrote on Twitter. In relation to this, I have already met my legal team, and the wheels have already been set in motion to bring to book those who are trying to hurt me and people associated with me. God bless. Meanwhile, news anchor Rana Anum had also tweeted that “several young girls are speaking out against the sexual harassment attempts by a known social media guy and comedian,” while several people on Twitter pointed their fingers at the comedian. 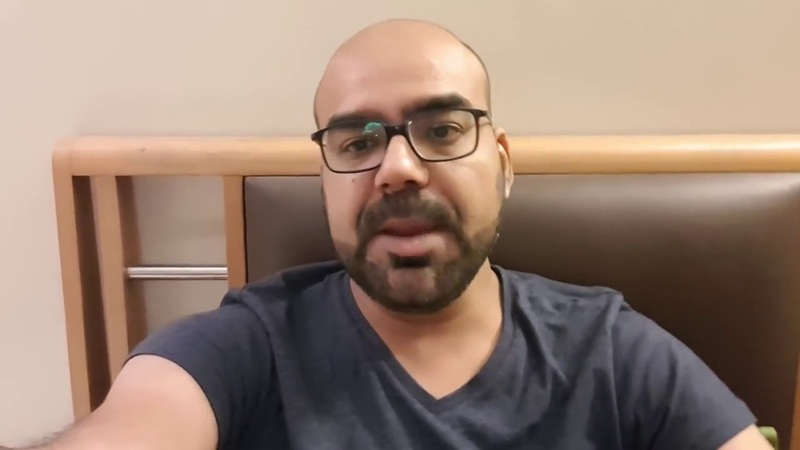 Amid the claims of sexual harassment, Shehzad Ghias, another stand-up comedian, has announced that he will not perform at any show where Akram is invited.